Very Good. Slander by Coulter, Ann, 2003-09-15. Trade paperback (US). Glued binding. 352 p.
Good. 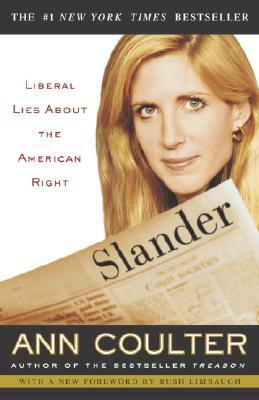 Slander by Coulter, Ann, 2003-09-15. Trade paperback (US). Glued binding. 352 p.
Very Good. Slander by Coulter, Ann, 2002-08-15. Sewn binding. Cloth over boards. 272 p.
Good. Slander by Coulter, Ann, 2002-08-15. Sewn binding. Cloth over boards. 272 p.